A successful title defence the goal, the winners in Bangkok last September, the hopes of the host nation in the Junior Boys’ Team event at the Korean Air 23rd Asian Junior and Cadet Championships in Asan remain alive but only just. On Friday 30th June, there were some nervous moments for the top seeded combination of An Jaehyun, Hwang Minha, Cho Daeseong and Baek Hogyun. Selecting An Jaehyun, Hwang Minha, Cho Daeseong, a three-nil win was recorded against the Hong Kong outfit formed by Cheng Pak Hei, Tsang Tsz Tsun and Cheung Yin To, the no.4 seeds, at the quarter-final stage. Victory and a place in the semi-finals; in the penultimate round, the story was very different. The Koreans were stretched the full five match distance by Chinese Taipei, the no.5 seeds; a contest in which Baek Hogyun replaced Cho Daeseong in the host nation line up. 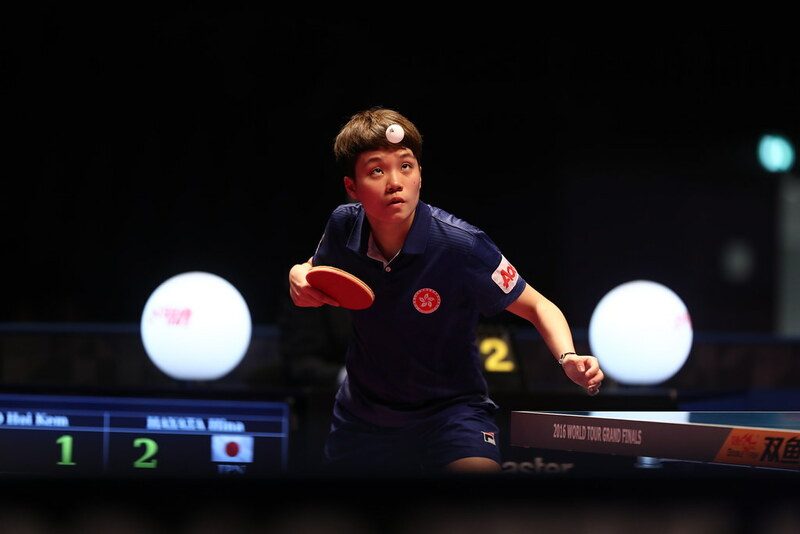 The player to cause the Koreans problems was Lin Yun-Ju, a young man who impressed at the recent Liebherr 2017 World Championships in Düsseldorf. He progressed through the preliminary stages to reach the main draw before the host nation’s Bastian Steger ended aspirations. In Asan, he beat both An Jaehyun (14-12, 13-11, 9-11, 13-11) and Hwang Minha (8-11, 11-8, 11-7, 11-5). The win over the latter meant that he levelled the score in the fixture at two games each; earlier Hwang Minha had beaten Chen Chun-Hsiang (11-8, 11-6, 11-8), Baek Hogyun had defeated Li Hsin-Yang (11-8, 5-11, 11-8, 11-4). Thus a tense deciding match to determine the outcome beckoned; in last year’s final against China, to clinch the top prize, in the vital fifth match, An Jaehyun had beaten Yang Shuo in a nail-biting full games duel (5-11, 13-11, 8-11, 11-4, 18-16). Now some nine months later, he repeated the feat one round earlier; he recovered from a two games to nil deficit and the brink of defeat in the third game to secure a five games success (12-14, 3-11, 14-12, 11-9, 11-8). Nervous moments, for China, the no.2 seeds; their journey to the final was far less torturous. Selecting throughout the trio of Wang Chuqin, Xue Fei and Xu Yingbin; three-nil wins were posted at both the quarter and semi-final stages. Singapore, the no.8 seeds, represented by Lucas Tan, Ethan Poh Shao Feng and Beh Kun Ting, received a lesson in excellence; before one round later, the same fate befell the Indian trio of Manush Utpalbhai Shah, Manav Vikash Thakkar and Parth Virmani, the no.6 seeds. The final of the Junior Boys’ Team event will be played on Saturday 1st July.